Allah, the Most EXALTED is perfect in His Exaltation and Highness, He is perfect in His Dignity, Superiority, and His SupremeSelf and Attributes. He is too Exalted for defects and faults; the perception of minds can not perceive His Existence on their own. Being exalted and high or being low applies to concrete things, such as bodies, as well as to abstract things. Everything that is considered to be high in place is said to have local highness, and everything that has a high rank is said to have exalted highness. As for the abstract things that have a degree of highness, there is the discrepancy between the cause and the effect, the doer and the thing done, the perfect and the faulty; the cause is higher than the effect, the doer is higher than the thingdone, and the perfect is higher than the faulty. Accordingly, we cannot divide the existing things into different grades of the mind, unless we consider that Allah, Praise and Glory be to Him, is in the highest grade, as it is not imaginable to assume that there is a grade higher above His Grade. Moreover, all existing things are divided into the living and the dead; the living things are divided into those that have nothing but sensual perception, such as animals, and those that have sensual and intellectual perception, such as the human beings.The human being is entrusted, afflicted with blights and he may not be freefrom faults. Angels are flawless, they are free from faults and acquittedfrom defects; their grade is higher than that of the human being and thegrade of the human being is higher than that of animals. Allah, Praise and Glory be to Him, is too Exalted for being compared to anything; He is the Ever-Living, the Life-Giver, the Creator of life; the Omniscient, the Creator of sciences; He is too Exalted for all sorts of defects. Thereupon, we must perceive the exalted Highness of the Supreme Self, we must not perceive the highness of the Exalted Self as being restricted to location, for Allah is too Exalted for any limitation or estimation with regard to the confinement of bodies. 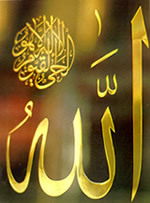 Though Allah is Most EXALTED, yet His Exaltation does not make Him remote from His creatures; He is Exalted, yet He is near to every existing being, and He is even nearer to him than his jugular vein; His nearness does not resemble the nearness of bodies, just as His Self does not resemble the selves of His creatures. Despite His nearness to His creatures, He is too far above them with His Divine Epithets, and His Exaltationis not relative to anything. Allah is the Most EXALTED, the Supreme above all, He is high above the partners that some ascribe to Him; He is High above all that they say, Exalted and Great beyond measure! He is the Most EXALTED, the Most High, the Supreme above all; Praise and Glory be to Him, He is Allah.